We have compiled a list of resources and files for you. Please remember that all information presented is for educational purposes only. To download the files, right click on the link and choose the option to “Save Target As.” Please note that left-clicking on the links will open a new window. 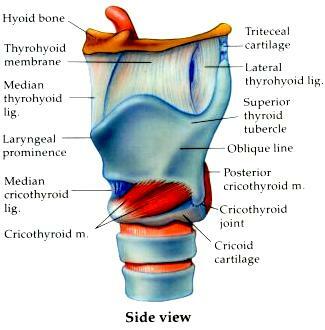 cthyroid.jpg [42.2KB]: Illustration of the thyroid. 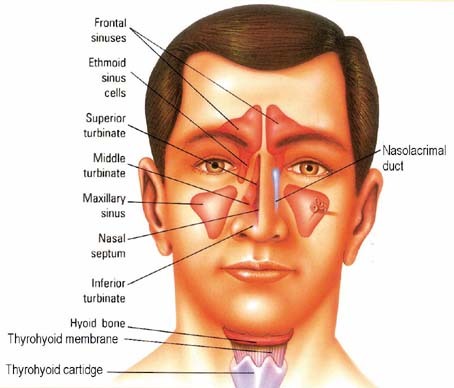 ctsinusdns.jpg [32.1KB]: Illustration of the sinuses. 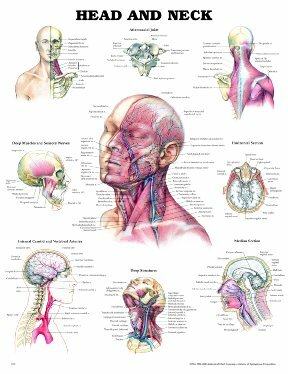 headneck1.jpg [29.6KB]: Diagram of the head and neck with labels of the parts. 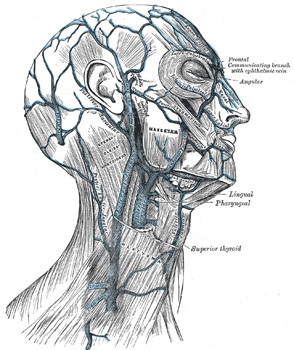 headneck2.jpg [54KB]: Diagram of the head and neck with labels of the parts. 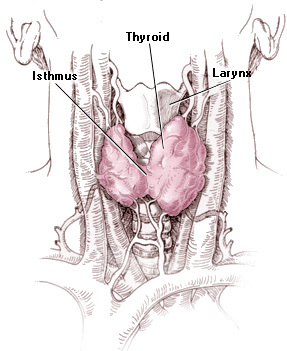 larynxleft.jpg [20KB]: Diagram of the larynx with labels of the parts. 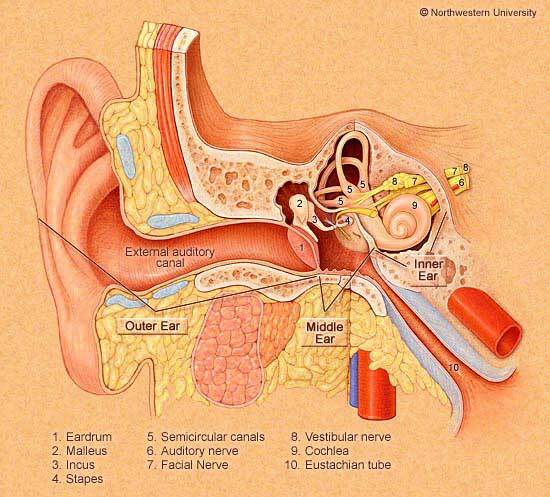 masterear.jpg [52.7KB]: Illustration of the ear. 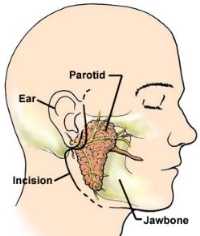 parotidn.jpg [31KB]: Drawing of parotid and it's location. 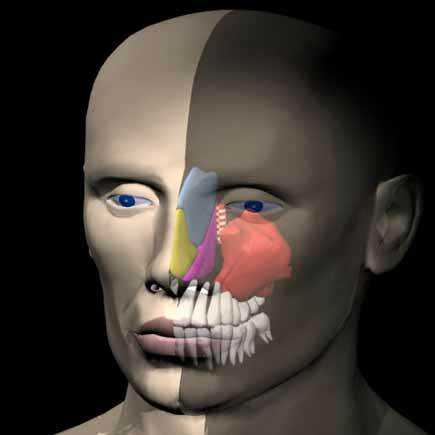 sinus2.jpg [8.74KB]: 3D rendering of the sinuses. 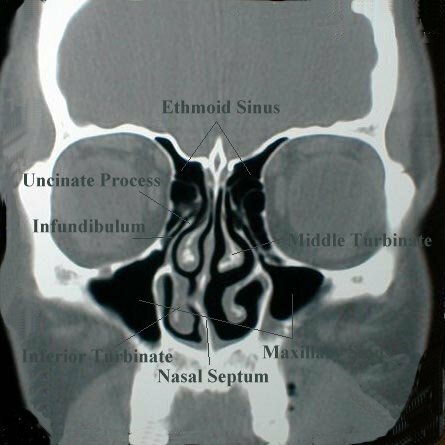 sinus3.jpg [67.4KB]: Drawing of the sinuses and label of the parts. Several of the files are in PDF format. If you do not have Adobe Acrobat Reader, click here to download it, or click on the icon below. There are currently no PDF's available for download. To view the videos, you must have Windows Media Player. If you are using Windows 9x and above, you should be able to view the video clips.